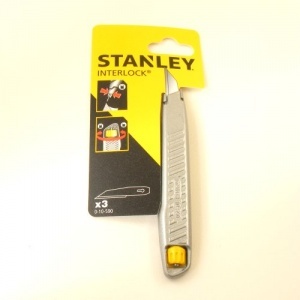 This is a Stanley Interlock craft knife, stanley code 0-10-590. 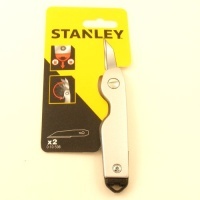 It has a slim metal handle which houses 3 blades inside (stanley code 11-221) Spares are readily available here at Artisan Leather - see related items below. 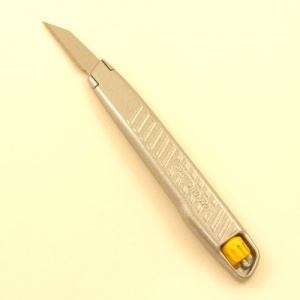 Measurements: Handle 115mm (4 1/2") long and 17mm (5/8") deep. 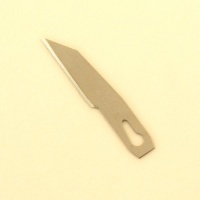 Knife blade when fitted: 32mm (1 1/4") long.